As you will see in a moment, Bill Vinovich can run, he can even appear in a vastly different arena undercover, but he obviously can’t hide. And the saga of the worst call ever made in NFL history grows more bizarre by the moment. 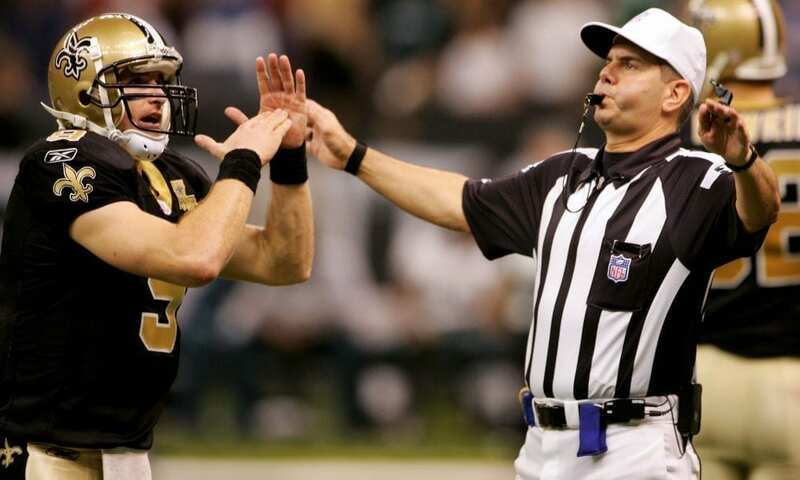 Vinovich was the referee assigned to last week’s NFC Championship Game between the Los Angeles Rams and New Orleans Saints. 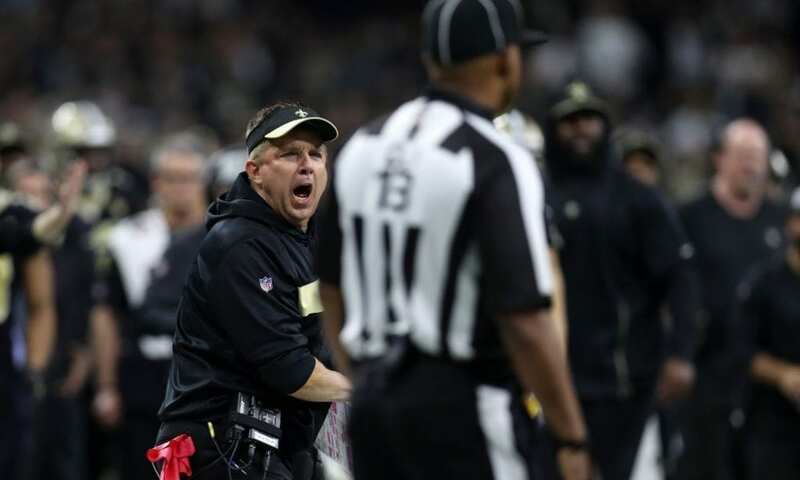 We assume you recall his crew mangled an obvious pass interference call in the fourth quarter, tipping the balance of the game and rubber stamping the Rams appearance in Sunday’s Super Bowl. 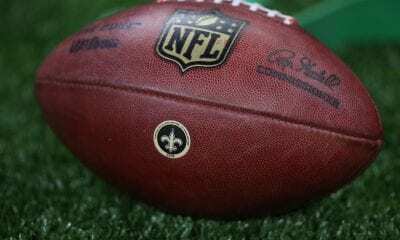 Vinovich hasn’t said anything publicly about the calamity, not even after the NFL knelt and asked Saints coach Sean Payton for his forgiveness. In fact, his only comment was to a pool reporter dispatched to find him after the game. At that point, he still had not seen the play in question. “It was a judgment call by the covering official,” said Vinovich. 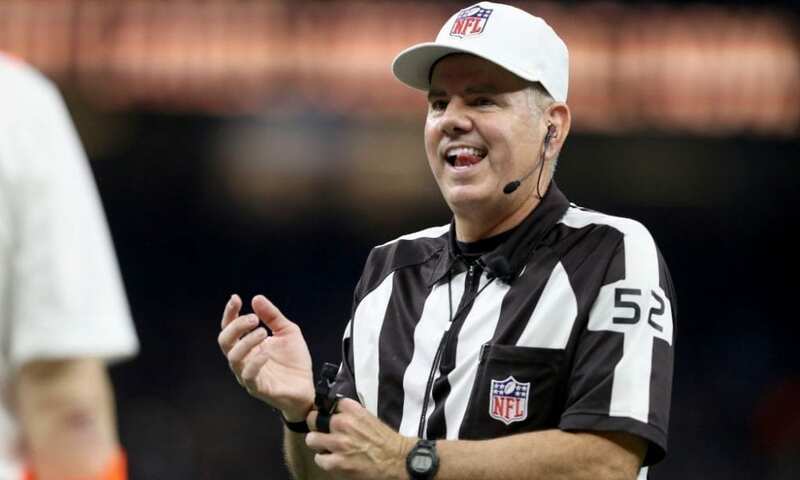 Funny thing: The week before the game, a superstitious Rams fan actually circulated a petition asking the league to recuse Vinovich because the team was 0-8 in games since 2012 he’d previously officiated. Not only that, the Rams had been penalized more times for more yards than their opponents. Anyway, while the Rams and New England Patriots were preparing to leave for Atlanta, where Super Bowl LIII will be played, Vinovich began working at his second job as a men’s college basketball official. Last Thursday, that brought him to Provo, Utah to work a BYU-St. Mary’s game. If Vinovich thought he could slip in and out of town unnoticed, he was wrong. The crowd found him and they hassled him throughout. One group of wiseguys brought a homemade sign to the game which read, “Bill, Don’t Screw These Saints.” Vinovich saw the sign and asked security to remove it after the first media timeout of the game. At another point as Vinovich approached the baseline, a fan actually asked him if the call in question should have been called pass interference. He didn’t react. And the taunting from the crowd only intensified. Here’s the thing: While Vinovich continues to disassociate himself from the mistake that cost the Saints a Super Bowl, the league he works for is paying a heavy price for his failure. There has been incessant conversation about whether the league should expand its instant replay rules to include pass interference calls. Right now, it is limited to possession and scoring plays. You know how goes in life? It usually takes a bridge to collapse before a city decides its time to address infrastructure problems. 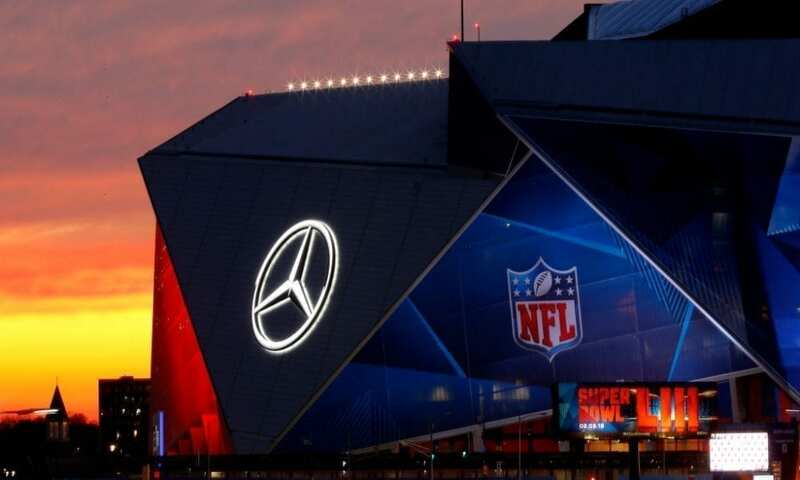 But as we prepare for that debate to ensue, ESPN is reporting a new wrinkle to “InterferenceGate” threatening to turn the Mercedes-Benz Superdome in New Orleans into the NFL’s version of Dealey Plaza. 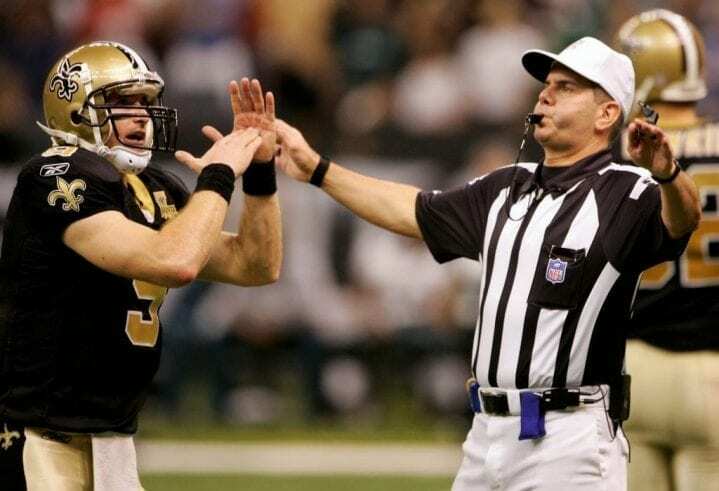 The NFL is now concerned four of the officials on Vinovich’s crew in New Orleans are residents of Southern California. The inference, of course, is they may have had a rooting interest superseding their duty to fairly call the game. What makes this coincidence more chilling to consider is these four guys were the ones most directly responsible for making the call. 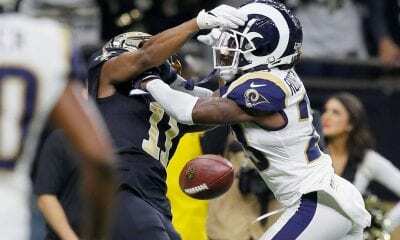 Not only did they miss the pass interference, they did not flag the blatant helmet-to-helmet hit Rams cornerback Nickell Robey-Coleman made on Saints receiver Tommylee Lewis that so repulsed the NFL it fined Robey-Coleman $26,000. While it’s important to note neither team complained to the league about apparent bias, the league is second-guessing itself for allowing creating a situation in which four refs with SoCal addresses were allowed to work an important game involving a team from LA. It’s completely possible now the Vinovich non-calls may not only shape the way future NFL games are officiated, but may influence the way the officials who do so are selected. Vinovich lives in Newport Beach, Calif. Down judge Patrick Turner, assigned to watch Lewis on the play, lives in Lakewood. Side judge Gary Cavaletto, who also was responsible to watch Lewis once Drew Brees released the ball, is from Santa Barbara, California. And Back judge Todd Prukop, who was watching it all from the endzone, lives in Mission Viejo. Four guys from Southern California. One play opening the door to the Super Bowl for Los Angeles. All four got it wrong twice, on the call and the contact. How does that happen? It smacks of impropriety, a potential fix. ESPN reiterated no one is accusing the officiating crew of doing anything wrong – on purpose. 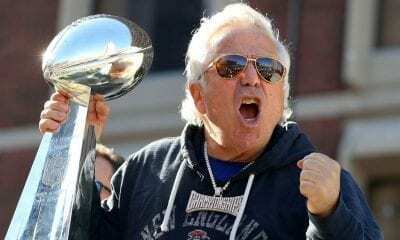 The league is embarrassed to its bone by the abject incompetence of a team handpicked for the job. And now it must defend the choice it made to a community of pundits, fans and cynics. 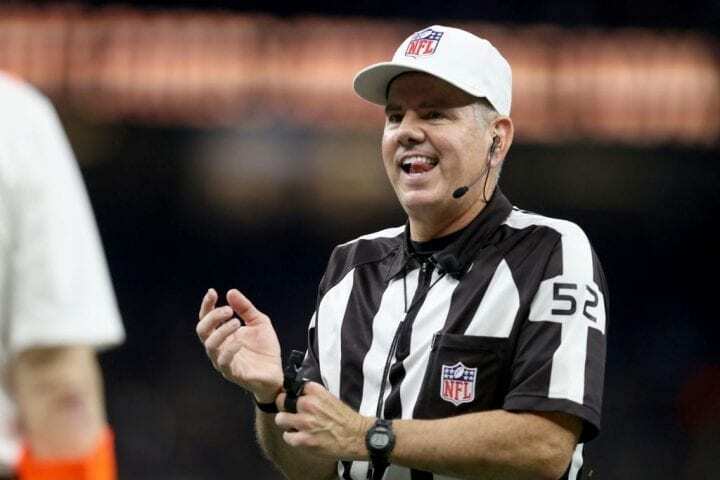 The NFL knew immediately it had badly messed up the call. 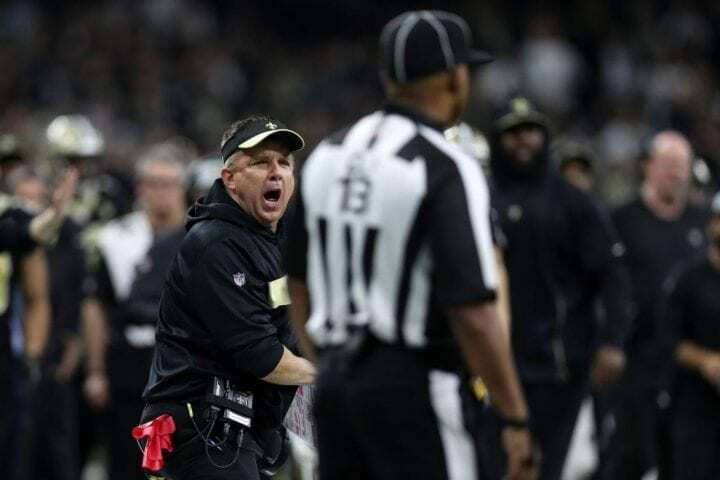 There was a sense the officials even neglected to immediately realize, despite how loudly Payton yelled at them, how questionable the call was and try to resolve it on the field by talking to each other. Immediately after the game, Al Riveron, the league’s senior vice president of officiating, sought out Turner and Cavaletto and basically asked them, ‘what the hell, guys?’ Vinovich said it wasn’t his call. Cavaletto told Riveron called it a “bang-bang” call. A source told ESPN when the officials were shown a replay, they immediately knew they were screwed. 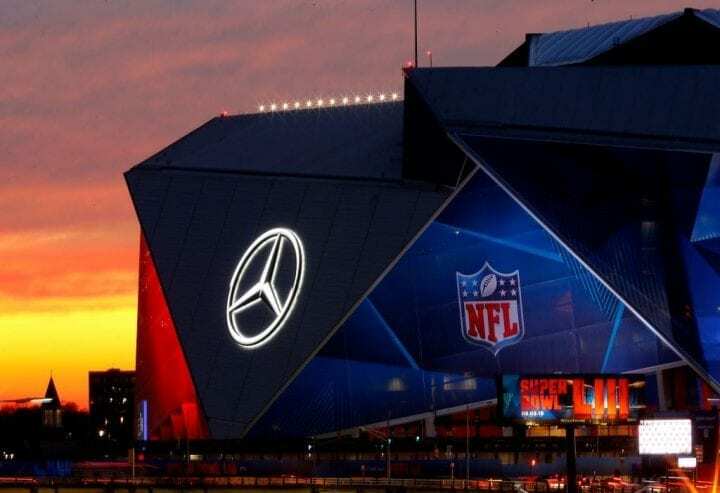 In case you’re wondering, the league said no officials from Southern California or Massachusetts will work the Super Bowl. We have no idea where Vinovich will be Sunday, but one thing is for sure. He will never outrun the chaos his crew caused.